Lice Free Noggins Lice Removal Service provides your family with same day, in-home best head lice removal services, which are thorough, discreet and professional. Their lice removal technicians are experts at making kids comfortable and the process quick, fun, and pain-free. All close contacts should be checked so that re-infestation does not occur. This includes parents, siblings, babysitters, close family and friends. Close contacts are likely to have lice, especially if the infestation is severe. Oftentimes another family member can have just a few nits or one louse, which can be easily missed without a comb-out. If left untreated, a full-blown infestation is likely to occur within a couple of weeks. There are numerous over-the-counter treatments you might be quick to turn to, but be aware that chances are, they won’t be effective. Head lice have evolved into super bugs, becoming resistant to over the counter products. To make matters worse, over-the-counter products are not only ineffective; they are also toxic to humans. There are no shortcuts to getting rid of lice. Manual removal with a fine-tooth nit comb is the most effective method of eradicating head lice. This process is very tedious and time consuming, but must be done in order to guarantee complete lice removal. In-home lice removal service is discreet, efficient and cost effective. 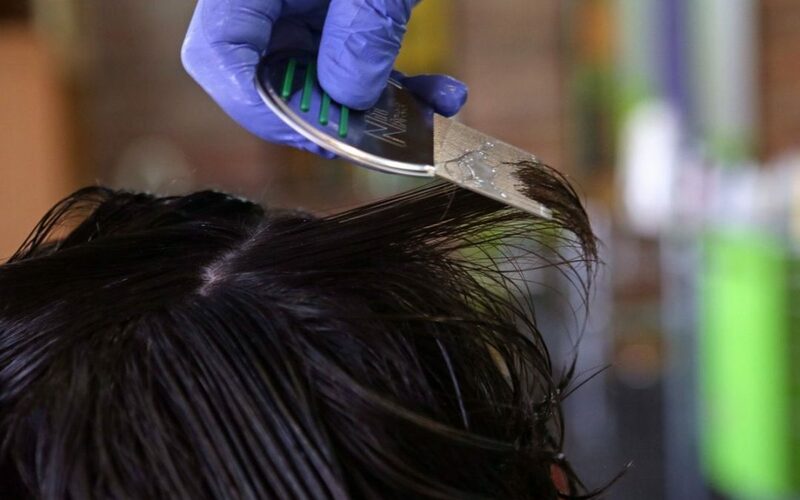 Why spend hours at a lice salon waiting for your turn? Lice Free Noggins in-home lice treatment option provides an opportunity to continue with regular home activities after being checked and/ or treated. Pricing is an affordable flat rate based on length of hair. Many lice removal services charge by the hour, which can add up rather quickly. There are never any hidden fees – no travel fees, no holiday fees, no evening or weekend fees. We have successfully treated thousands of families in New York City.